Chicago’s North Shore has long been a desirable place to call “home”, and for current residents and even those who have visited; it’s easy to see why! As a North Shore Real Estate agent for over twenty years, I enjoy being able to show prospective buyers the uniqueness of North Shore cities such as Deerfield, Winnetka, Glencoe, Highland Park and Northbrook. Whether you’re a first time home buyer, looking for a place to retire, are a young professional or a family hoping to find a great school system for your children; you’ll find a perfect fit in Chicago’s North Shore. Perhaps you’ve been considering buying a North Shore home and, like 80% of home buyers, you’ve started searching online to find a house that will fit your needs and lifestyle. You’re off to a great start! Making a list of what you want in a home and getting an idea of what’s currently available on Chicago’s North Shore market are good first steps. However, you’ll soon want to find a North Shore Real Estate agent that can help answer your questions about the North Shore Real Estate market, who can keep you updated on new homes that have just come on the market, and who can ensure you are on track with the various aspects of buying a North Shore home. Please feel free to contact me with any questions you have about my services or view my testimonial page to view comments from my past buyers and sellers. Whether you’ve found a North Shore Real Estate agent yet or not, a great way to really get a feel for a home is by attending an open house. Being in the home and seeing the details of the property in person will give you an sense of the home that you won’t be able to get from pictures online. When attending an open house, you’ll want to do more that just look at the home; you’ll want to ask questions. Below are five questions that will give you more insight into the home and if it’s the right house for you. 1. Have you had any offers on the property? This will let you know what type of competition you’ll have if you decide to put in an offer on the home. You’ll also want to know if the seller has rejected any offers as this will give you insight into what the seller is expecting from the sale. 2. Has this house been in escrow? If the home has been in escrow and didn’t sell, it’s important to find out why. 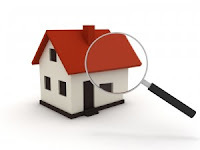 It could be that the funds fell through on the buyers end, but if it’s an issue that came up in the home inspection; you’ll want to know what you’re dealing with if you decide to buy the home. 3. How long has the property been on the market? The longer a home sits on the market, the less activity it gets. If the North Shore home has been on the market for some time, it could mean the seller is more willing to be flexible on the price. 4. Why are the owners selling? The agent who is showing the house may not want to answer this question if the seller is anxious to sell quickly. A sellers agent will want to get the best price for the home and offering up this type of information may mean lower offers on the table. However, if you find that the seller is in financial straits or is moving soon, this can play in your favor. Of course you’ll want to be sensitive to the sellers situation and not present an offer that is offensive or much lower than you know the home is worth. Your North Shore Real Estate agent will help point you in the right direction when it comes to placing an offer on a home. 5. Are there any other costs of ownership? This is much more common in buying a condo or townhome, but there are some North Shore neighborhoods that have additional Home Owners Association (HOA) fees. Be sure you find out what they are and what they cover so that you’re not surprised by them after buying the home. Again, if you have questions about buying a North Shore home, need an agent or are ready to get started; please let me know! I would be happy to meet with you to discuss your needs and assist you throughout the entire home buying process. I hope to hear from you soon!